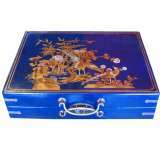 This is a reproduction of a classical Blue Chinese Mahjong case that we have adapted for everyday use into a briefcase / suitcase. 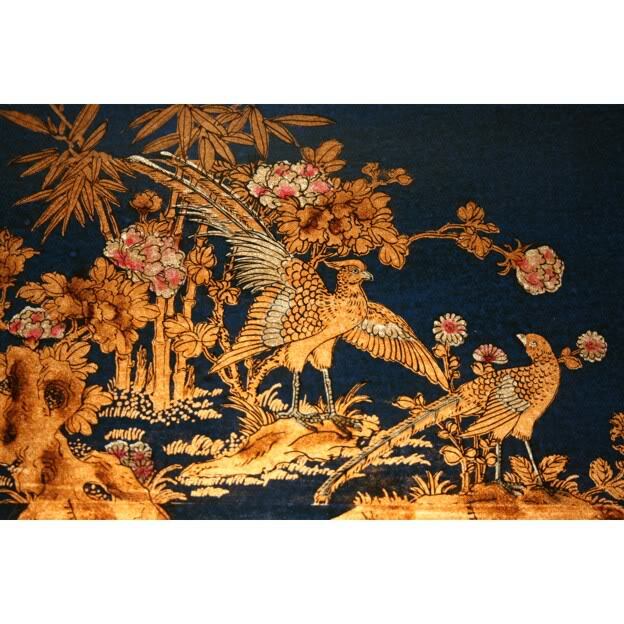 This beautiful piece is made of wood and faux leather, using an old traditional Chinese technique, the leather is wrapped around the wood and bound tightly so that the skin is smooth and perfectly formed to the piece. 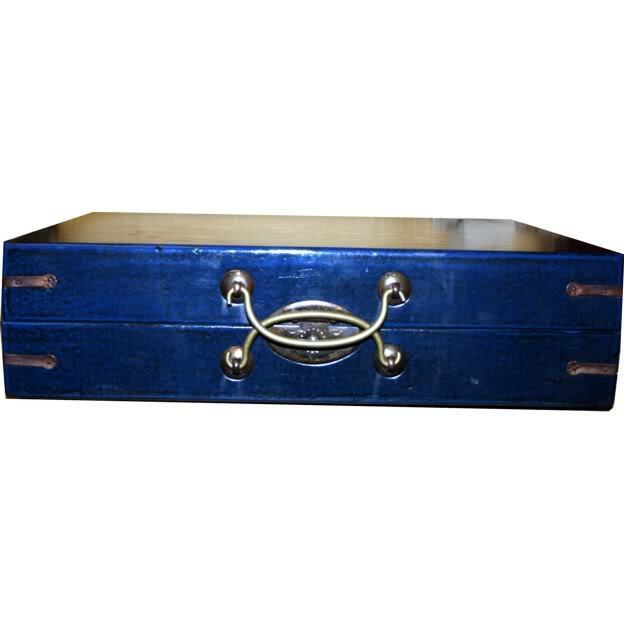 Brass fittings adorn the corners, and elegant handles complete the exterior. 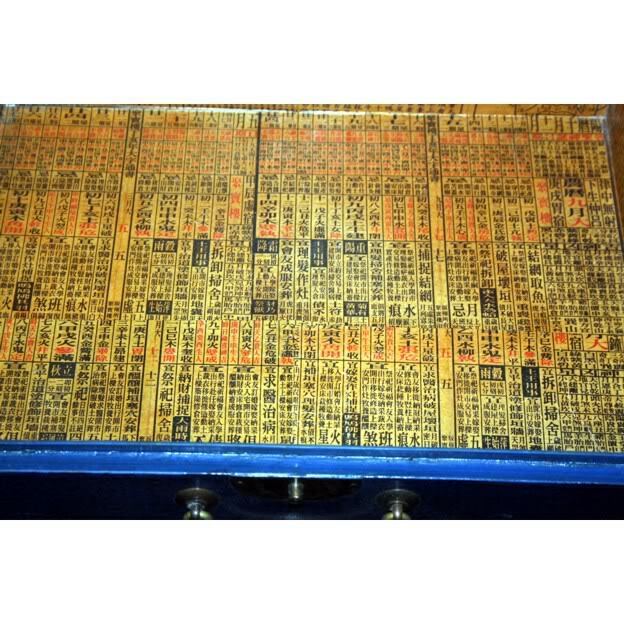 Inside the case is lined with aged Chinese paper adding to the authenticity and feel of the product. 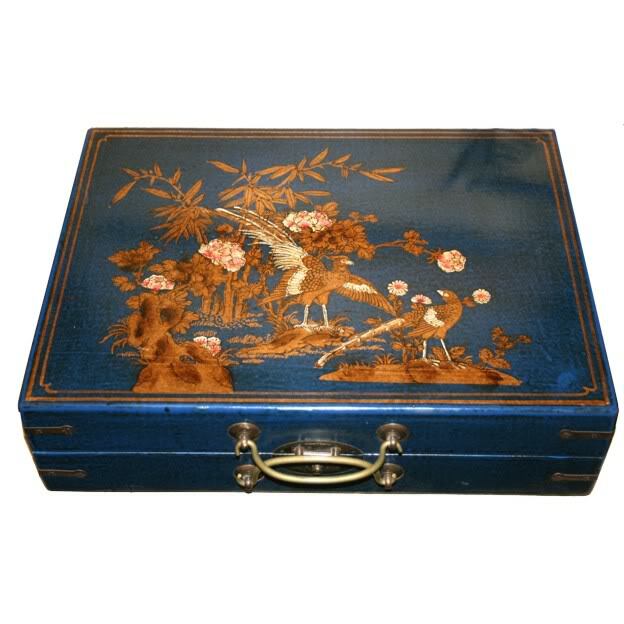 The lid of the case is painted with beautiful and traditional Chinese paintings of Birds flying beyond flowers. In Chinese culture, these represent luck and happiness. The case has been treated to help preserve the paintings and the exterior. *This item is 100% HAND MADE and HAND PAINTED. 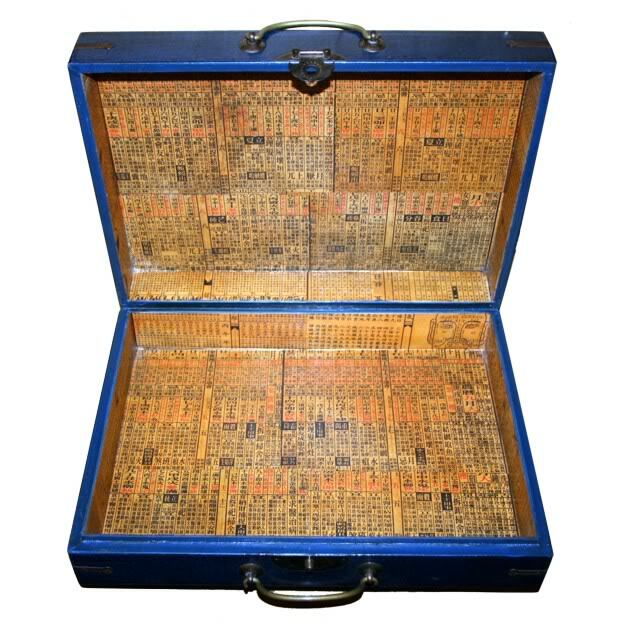 *Inside the case is lined with decorative aged paper featuring Chinese characters, adding to the feel and authenticity of the product.